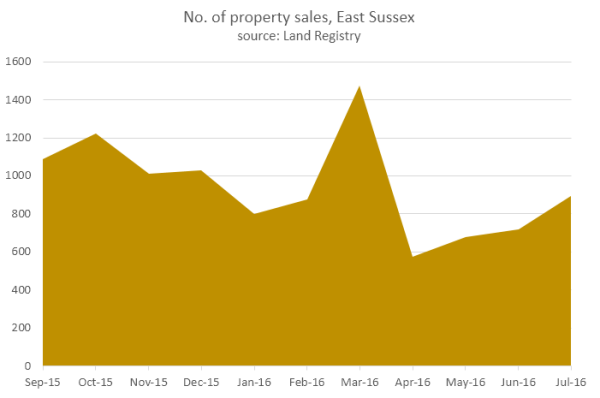 But there are several pieces of data which show how things have stayed positive for home-owners in East Sussex. 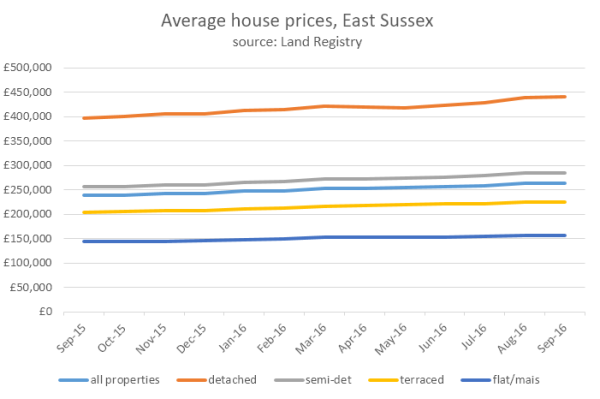 First, the latest data from Land Registry shows that house prices in East Sussex have increased by an average of 10.5%. The rise has been steady across all property types, with detached and semi-detached houses have rising even more; by 11.2 and 11.5% respectively, on average across the county. The second interesting data shows that the number of transactions rose in the months following the EU-vote. March saw a huge up-surge in transactions with people rushing to buy second-homes and investment-homes before the hike in stamp duty for these types of property in April. April and May then saw the predictable slump to offset March’s surge, but since then transaction numbers have started to rise. 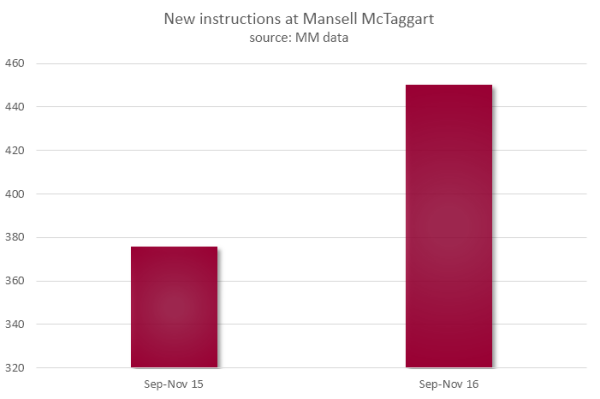 The third is our own data, showing the number of instructions we took on over the last three completed months – September to November – was 19.7% higher than the same months last year.